The Draa is Morocco's longest river. Each year a part of this river empties, ceasing to carry a flow of fresh water. This story performance shares with us what happens one year when the river becomes waterless. Life in the Kasbah turns to hunger, thirst, and theft. Berber child Tufta is carried away on a journey, and now she is her village's last hope. Time is running out, as the wells run dry, and the stakes become high. 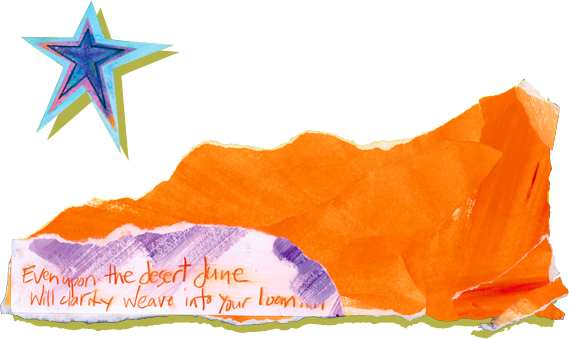 And who is this mysterious woman blown in from the desert sands? Dahya's Gift was originally developed and performed at Camp Magic Solstice in December, 2012. It is currently being further researched and re-developed.